>>> way to the north tonight there's high drama going on. 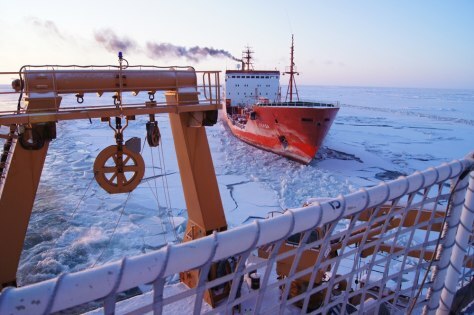 a coast guard ice breaker , the only functioning ice breaker in the fleet is cutting a path through frozen waters to help a russian tanker carrying fuel bound for nome, alaska. it got stranded friday in the icy bering sea . the coast guard vessel is creating a path so the tanker can proceed. it's the carrying over a million gallons of diesel fuel . The Russian-flagged tanker Renda follows the U.S. Coast Guard Cutter Healy on Sunday.